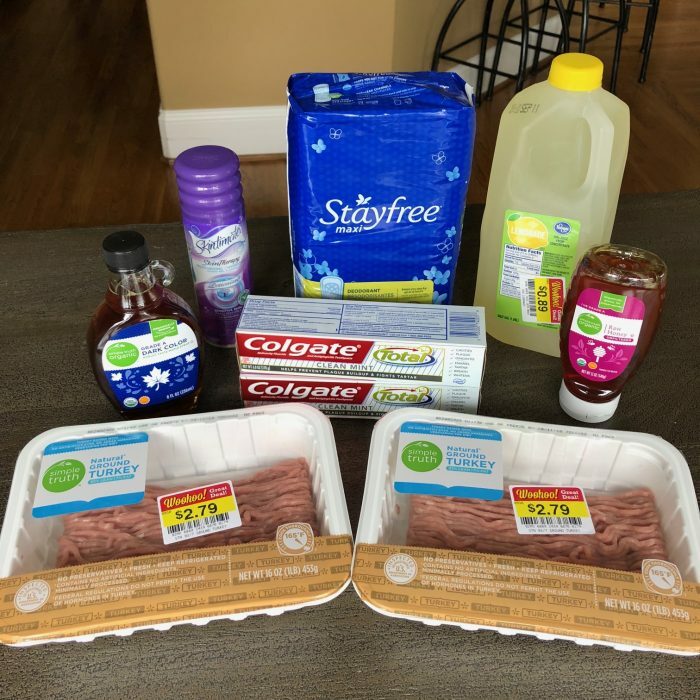 I ran into Kroger today to see what markdowns there were and to pick up a few deals that are ending tomorrow. I was also excited to find some good deals on organic honey and maple syrup as we just finished off the last of the honey and we go through a lot of maple syrup around here since we have Breakfast for Dinner so often! I also got the four items above for just $0.19 total! 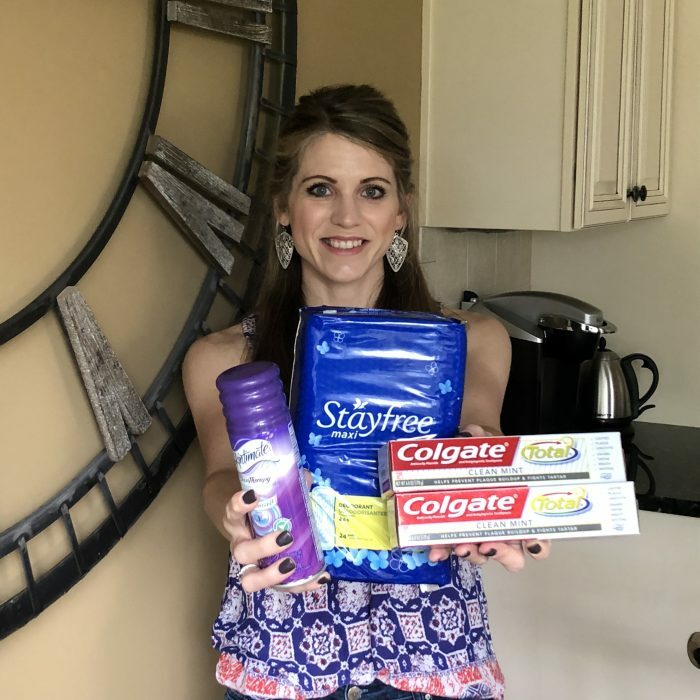 I thought they were going to be $1.69 total and was excited about that deal — and then someone on Facebook Live this morning told me about the Stayfree iBotta rebate that I completely missed. 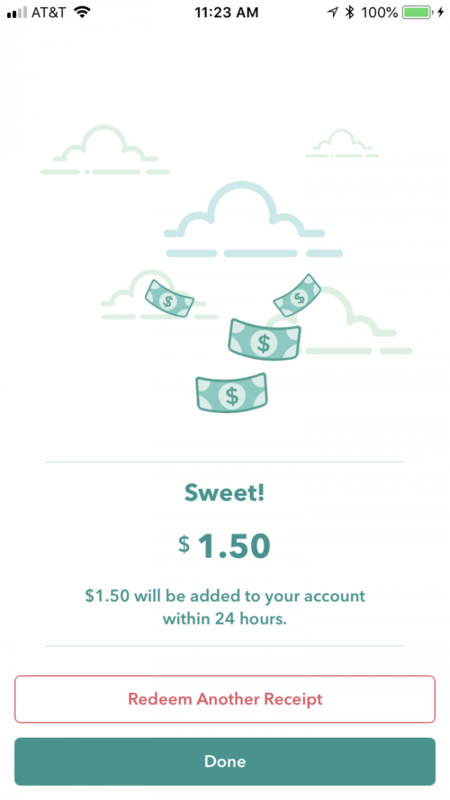 That meant that I got $1.50 back for buying Stayfree and I only paid $0.79 for it! So all 4 items were only $0.19 total — just $0.05 each!!! Sadly, it looks like the Skintimate and Colgate coupons are no longer available. 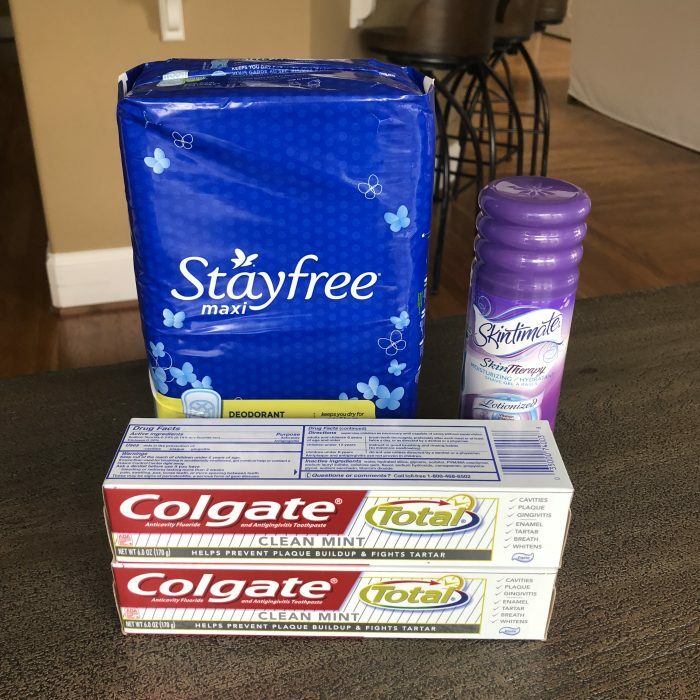 But the Stayfree coupon still is available so you can get it free + overage — if you’re planning to buy 3 other Buy 4, Get $4 Off Participating items. This deal is valid through Tuesday (September 11, 2018). Want to never miss a hot deal we post? Want to interact with other deal-seekers and share deals you’re finding? Be sure to join our brand-new Facebook Group here. It’s a full week this week! It’s Jesse’s birthday so we have some special family activities and friend get-together planned for that, we have a number of activities and get-togethers, I have a number of extra work projects, we’re going camping with our Community Group on Friday and Saturday, and we’re doing the Tough Mudder on Sunday. Whew! We’re also starting another very popular Eat at Home Challenge on Thursday. I’ll be making dinner in the crockpot every morning on Live video and sharing what I’m making each day. More details to come! Friday: Camping with Community Group — Everyone is bringing stuff for Grilling Out. We’re bringing beef hot dogs and brats for everyone (from the freezer), condiments (we already have them on hand), fruit, veggies, and baked beans (we already have these on hand).